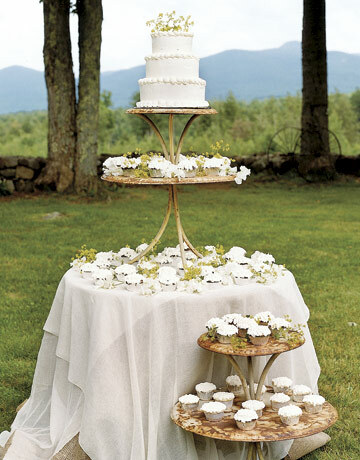 Cake stands add a special touch to your wedding that really proves a wedding is all about the details. 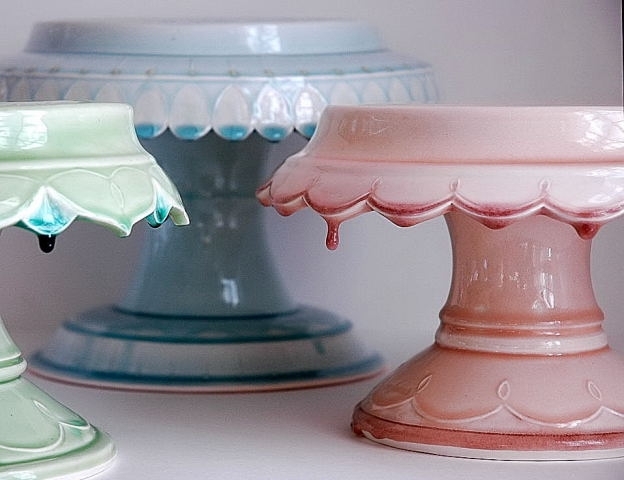 This wedding season look for vintage inspired cake stands. They come in a rainbow of hues to match any color scheme. These are great for smaller cakes at a smaller wedding or multiple cakes at a larger wedding. 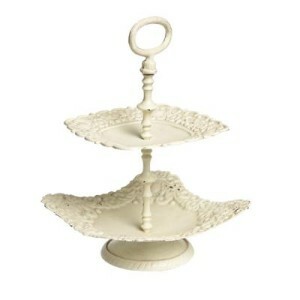 Vintage inspired cake stands add a touch of home to your special day. 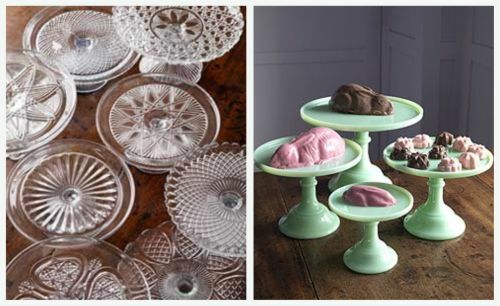 If you looking for vintage cake stand check out the the designs of these 19th and 20th century pressed glass cake stands. Also Martha Stewart's line at Macy's has a pretty suite of new cake stands in classic shape. A simple cake or little frosted sugar cookies look so pretty on vintage cake stands. You don’t need to buy a fancy fondant-covered cake or cupcakes that cost $6 a piece in order to put together a beautiful and delicious spread of sweets. A wonderful way to make a wedding cake just a little bit sweeter is to think about unique ways to have it displayed at your reception. Everyone knows that the wedding cake takes a pretty large chunk of the wedding budget. Brides and grooms dream about their wedding cake as much as the flowers, the location and the wedding attire. 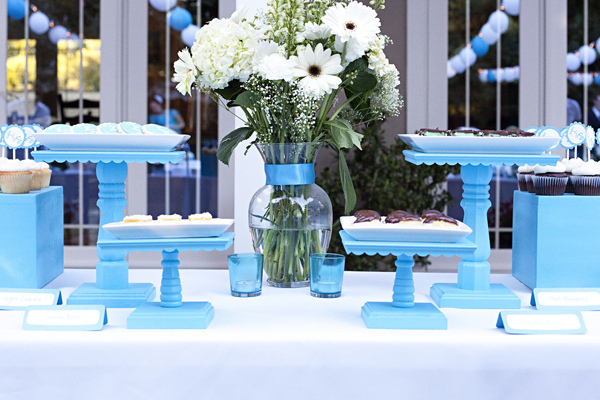 One thing that brides and grooms might not think about is new and different cake stands. 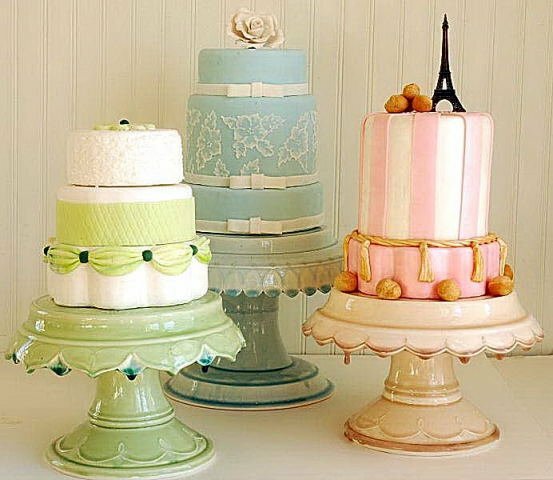 Spend some time thinking about how to display your wedding cake. After all, you spend so much money on your wedding cake … why not add something to give it a little extra attention? 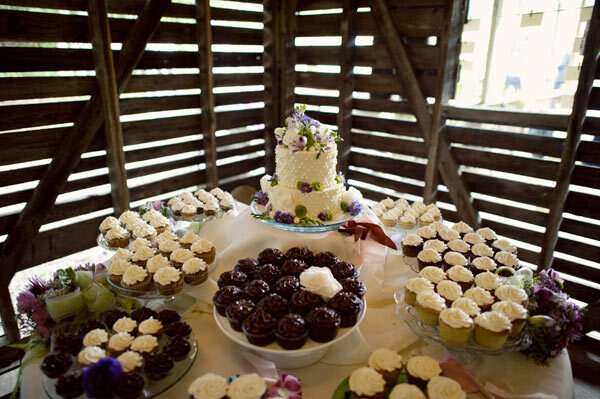 If you are having a rustic country wedding, try incorporating some natural accents to accentuate your wedding cake. 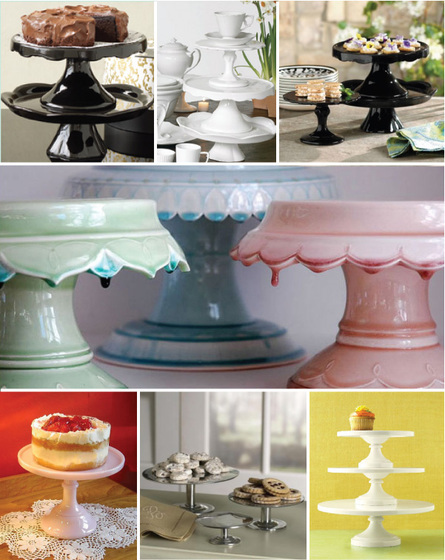 Monochromatic cake stands are a very modern way to share sweets with your guests. 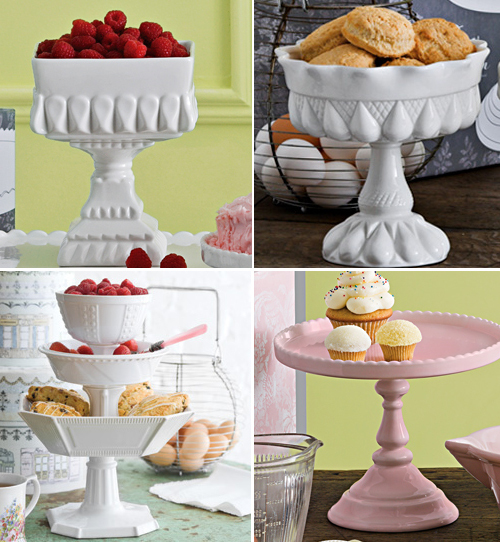 These cake stands say country chic with a modern twist. 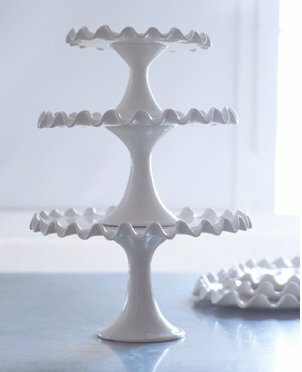 If your are having cupcakes instead of a wedding cake, think about using a variety of cake stands to create more of an impact. 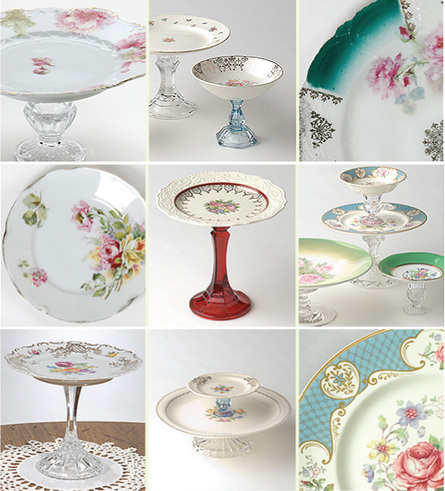 If you are having a traditional or romantic style wedding, you can create a dessert buffet using antique and vintage cake stands such as these.